1, Why you choose us. -We deled with murti items more than 10 years. -We have more than 2000 different Hindu god status from 2"H to 40"H.
-We are developing new items every month. 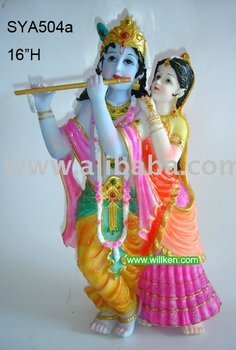 -We are Factory,we will offer you best price, good quality and nice packing murti items. -Warmly welcome to visit our 300M2murti items showroom and 3000M2 factory in Xiamen, China. We have Ganesh, Laxmi, Durga, Shiva, Saraswati, Hanuman, Vishnu, Krishna, Kali, Kateri Maa,Satya Narayana, Saibaba, Sri Kuberan, Nadi, Sangani Baba, Munee Spring Baba, Surya Narayan, Bahuchar Maa, Saibaba, Rodha Krishna, Khodiyaar maa,Gayatri Maa, Murugan, Balaji, Ram, Ma Kateri, Natraj, Sita Family, Shiva Family, Bhairava, Shani Dev, Ganga, Shiva Lingan,Guru, Sukrh,OM & Diyas etc.